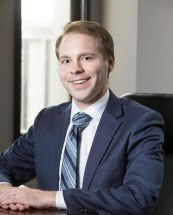 Prior to joining Burns & Hansen, P.A., Kirk served as a judicial law clerk in Minnesota's Tenth Judicial District. Kirk diligently represents his clients in both litigation and transactional matters. Kirk’s practice focuses on helping small and medium size business owners with their legal needs. In his spare time, Kirk enjoys spending time with family and friends, reading, exercising, and fishing.